It’s Earth Day, but ... what does that really mean? Shouldn’t every day be Earth Day? What’s up with celebrating the Earth every April 22nd? Let’s step back to investigate when (and why) this annual event began. A dreadful oil spill had occurred in America when a Union-Oil blowout occurred at an offshore oil platform near Santa Barbara, California. 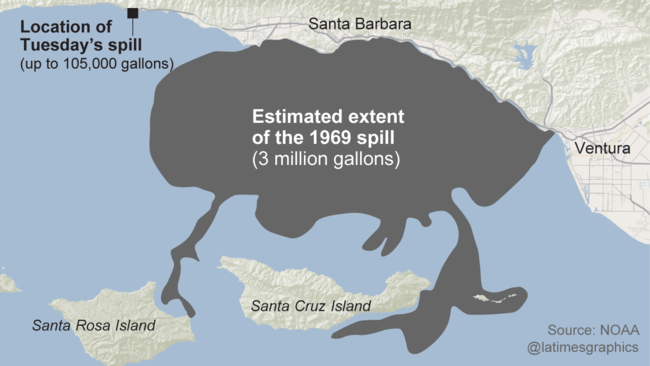 That oil spill—which happened on January 28,1969—is often credited as the beginning of the modern environmental movement. The first Earth Day—in 1970—took place, the following year, during a period of political activism. Students across the U.S. were getting more and more upset about the war in Vietnam. They were getting more and more angry that their voices were not heard and their demands were disregarded. And ... they were extremely upset—just like other Americans around the country—about the Santa Barbara oil spill. At the urging of Earth-Day founder Gaylord Nelson, students took to their bikes—instead of their cars—and demonstrated by the U.S. Capitol building (among other places). Nelson—who'd spent his boyhood in the "magically mysterious" environment of Wisconsin's North Woods— knew, firsthand, how disregarding enivornmental impact can destroy natural habitats. His area of the state had dramatically changed when the timber industry "wiped it out in an eyewink of history and left behind fifty years of heartbreak and economic ruin." Around 20 million people participated in the first Earth-Day rallies throughout America. It was then, and now, a day which students and educators have made their own. Within two weeks of the first Earth Day, students at Kent State were gunned down by members of the Ohio National Guard wearing tear-gas masks and carrying fixed bayonets. Some of the young people who died weren’t even protesting—they were, unknowingly, in the wrong place at the wrong time. Throughout America, it was time to take a serious look at a better way forward—politically, environmentally and corporately. Its own climate-change focus (with the Paris Agreement being deposited at the UN on Earth Day 2016 with the hope that all countries, worldwide, will become signatories). About that last story ... how ironic that Deepwater Horizon sank, thereby causing massive oil pollution in the Gulf of Mexico, on Earth Day 2010. What do you think about the image at the top of this page? It’s a shot from a new NASA time-lapse of the Auroras Borealis and Australis as seen from 250 miles about Earth. Click on it for a better view. Happy Earth Day as you celebrate this awesome planet of ours! Bos, Carole "Earth Day - Now and Then" AwesomeStories.com. Apr 21, 2016. Apr 18, 2019.